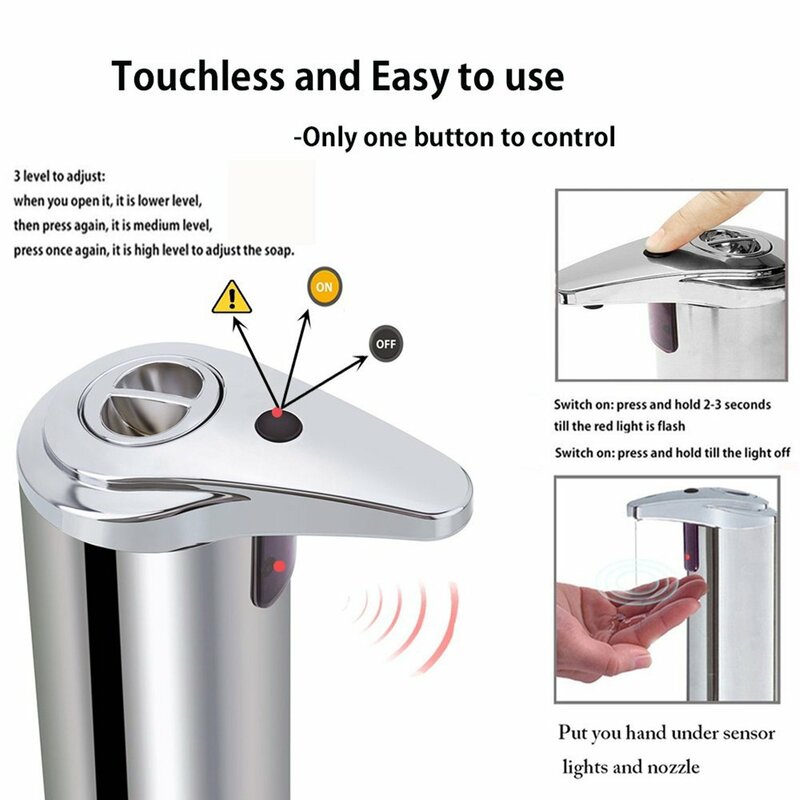 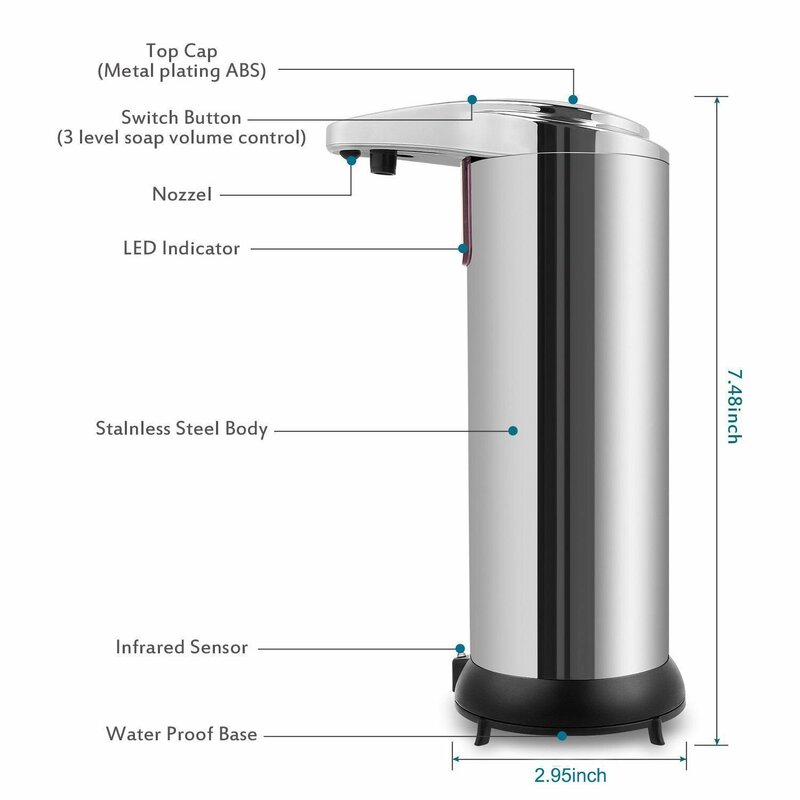 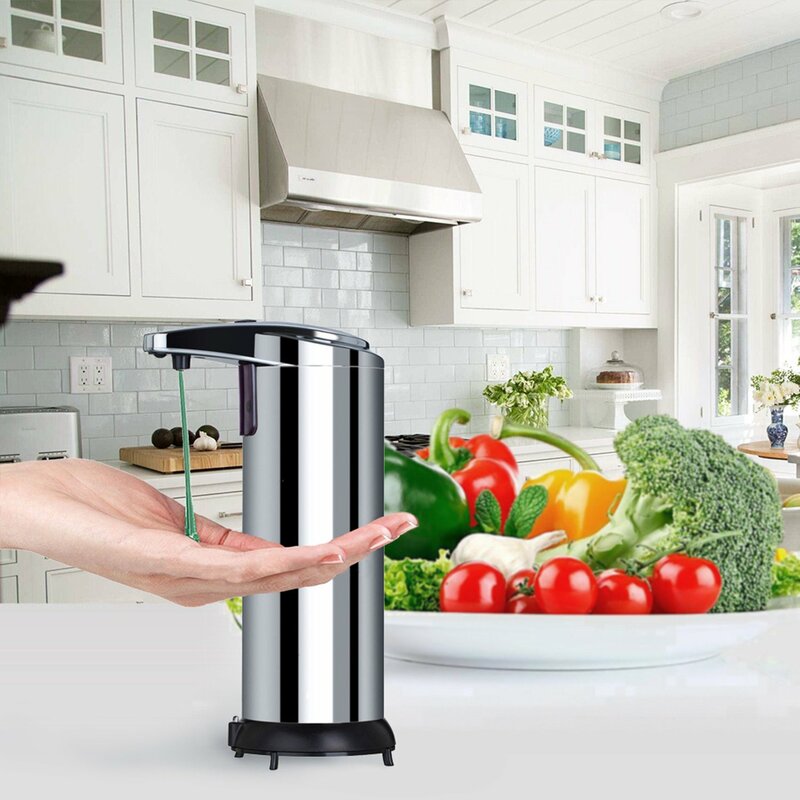 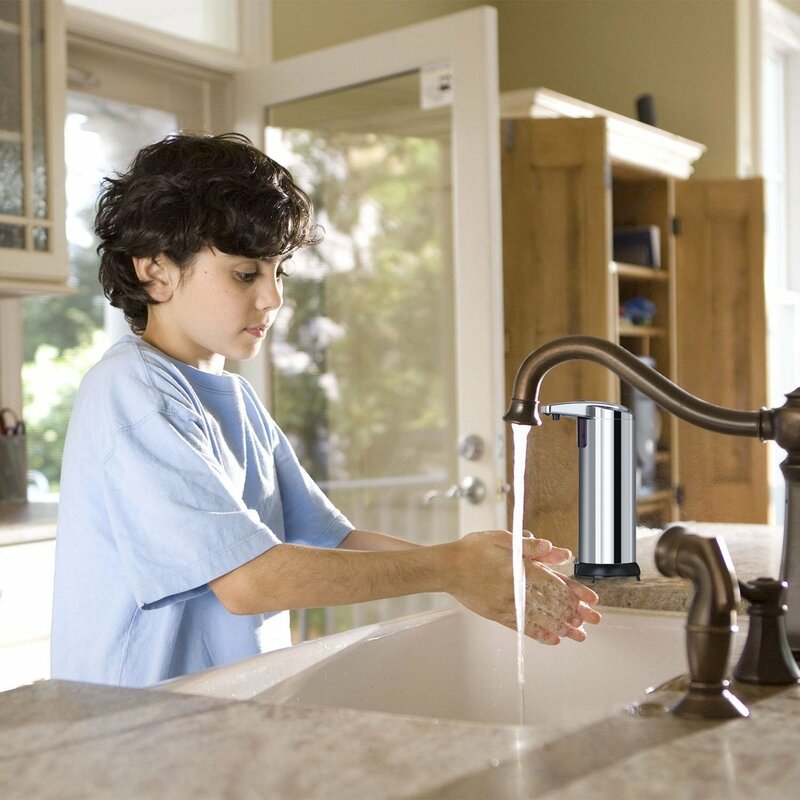 Sobotoo's automatic silver soap dispenser is brilliant and has got us all constantly washing our hands . 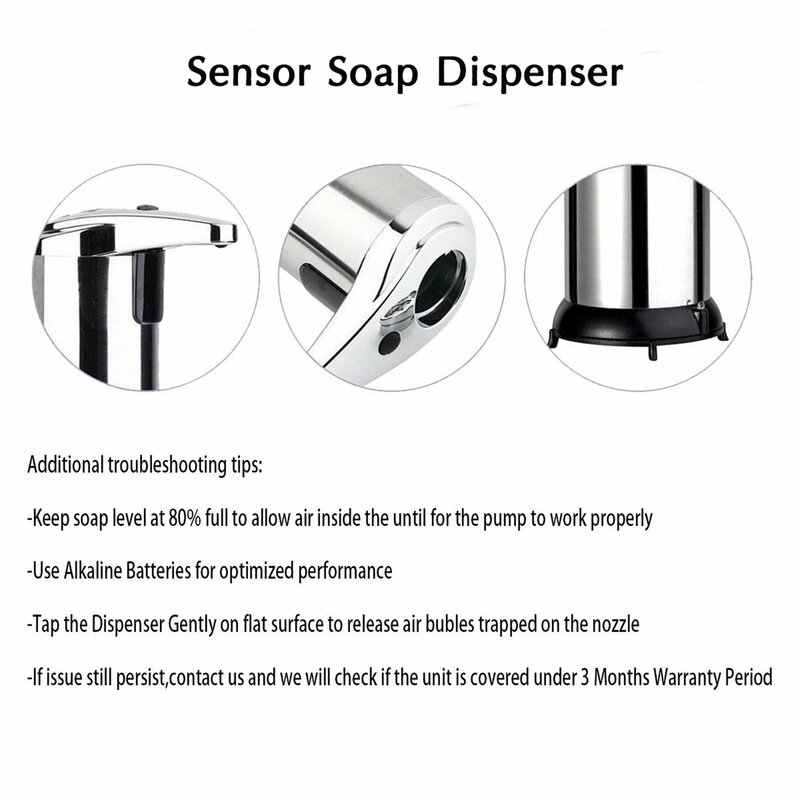 You place you hand under the spout and the Motion Sensor detects you and dispense's soap , no touching at all , no mess either it doesn't leak or drip . 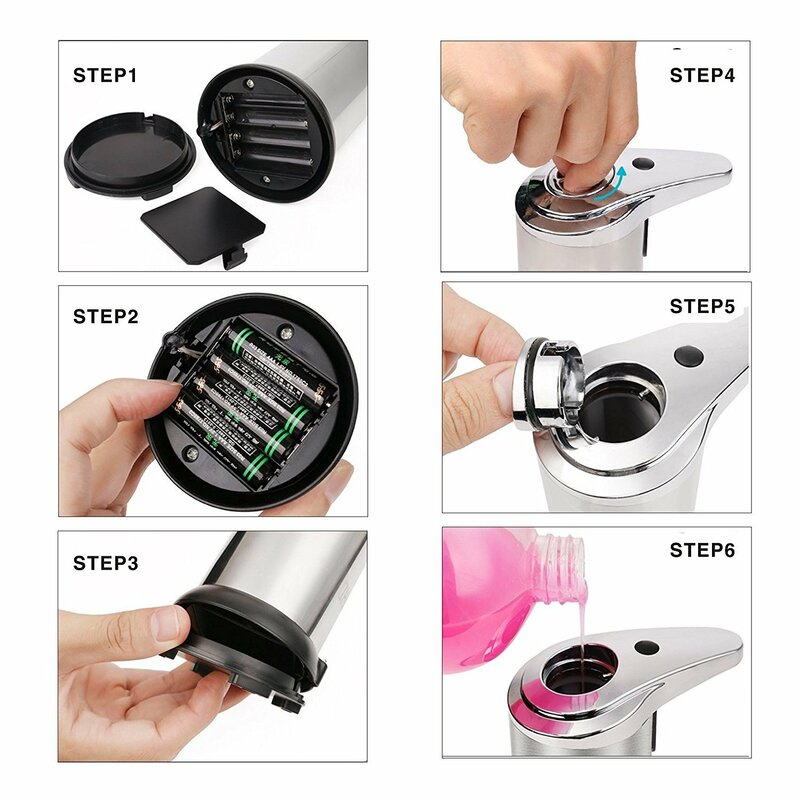 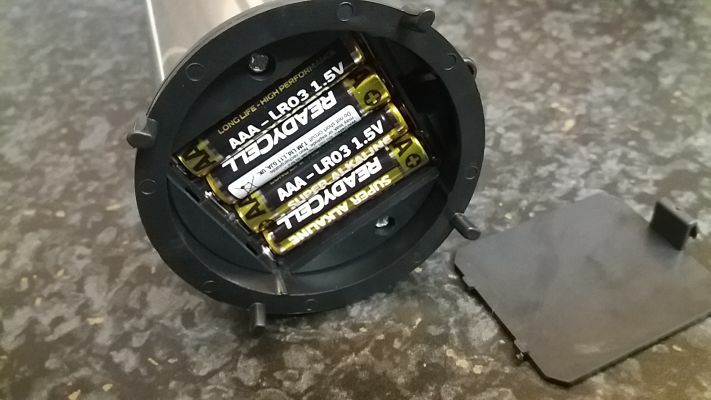 fill via the hole at the top and then cover , battery operated taking AAA and the circuit board is protected from water proof technology . 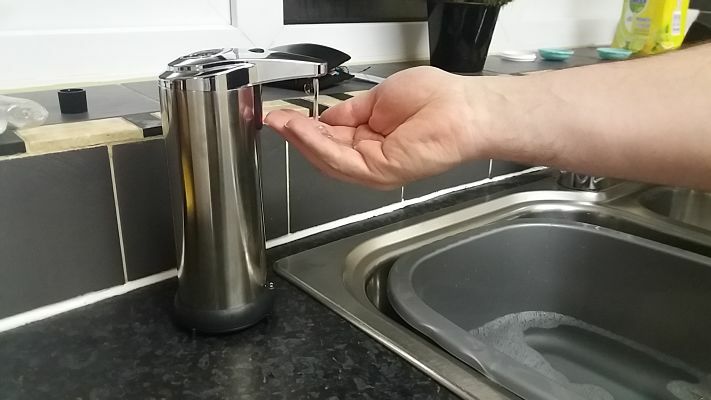 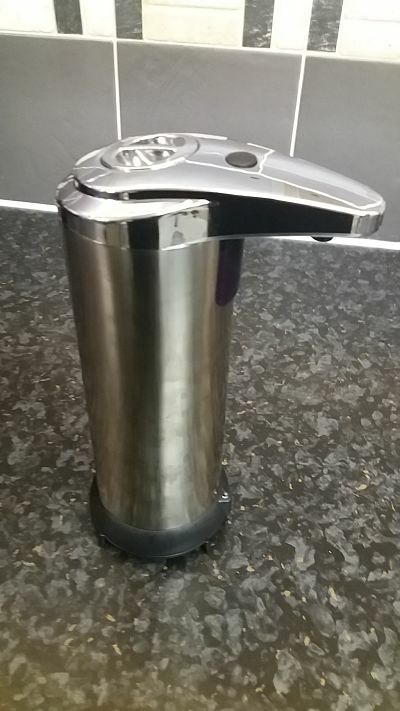 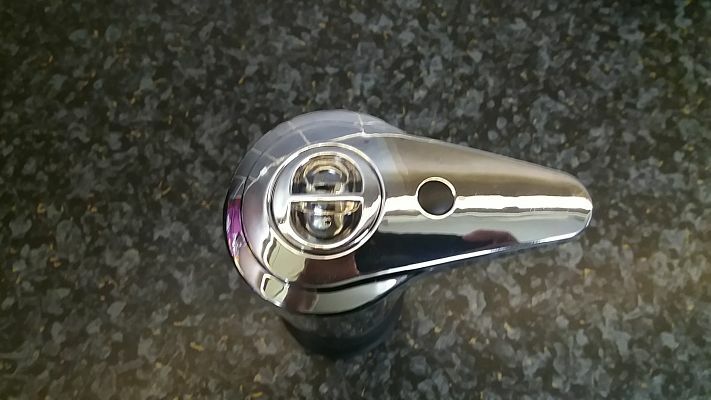 Switch he dispenser on and place your hand under to collect the soap in your hand .This looks very stylish in my kitchen and expect this to last as its stainless steel so won't rust .